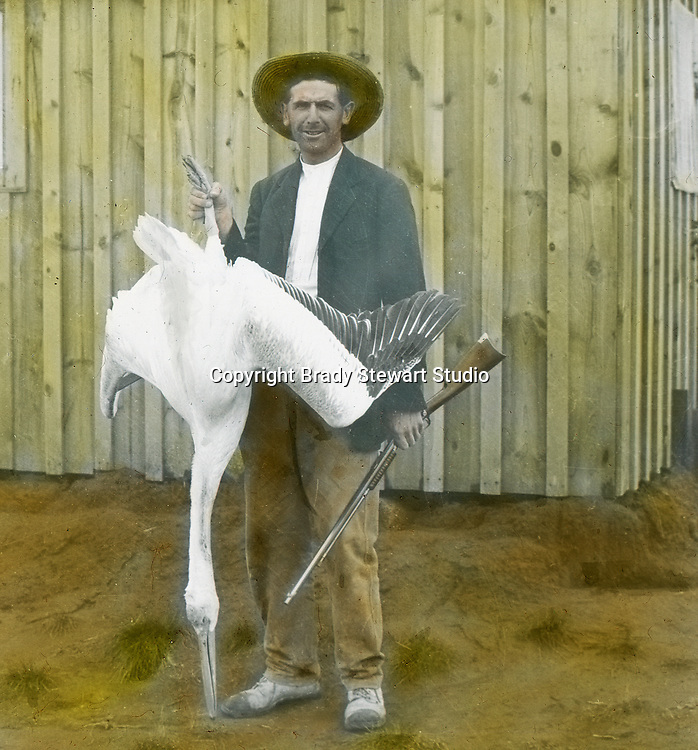 Jerome ID: Hunter showing off his prize Pelican - 1910. Brady Stewart and three friends went to Idaho on a lark from 1909 thru early 1912. As part of the Mondell Homestead Act, they received a grant of 160 acres north of the Snake River. Brady Stewart photographed the adventures of farming along with the spectacular landscapes. To give family and friends a better feel for the adventure, he hand-color black and white negatives into full-color 3x4 lantern slides. The Process: He contacted a negative with another negative to create a positive slide. He then selected a fine brush and colors and meticulously created full color slides.